The Difference Between Law Enforcement and Policing? Often when we discuss criminal justice systems, strategies, and even professions, the terms law enforcement and policing are used interchangeably. Though to some the two concepts may seem to be the same or—at most—a difference without distinction, to criminology practitioners the terms have very big and very important differences. 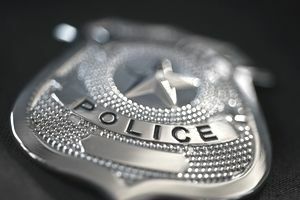 For those of you interested in pursuing careers in criminal justice or criminology, you should learn what the difference is between law enforcement and policing and why the distinction matters. At its core, the concept of law enforcement consists of just that: enforcing laws. In its purest form, law enforcement requires an unwavering adherence to rules and procedures. It is a focus on the letter of the law rather than the spirit of the law. Citations are issued, arrests are made, and force is employed with little regard for the reason or meaning behind a particular law or policy. Law enforcement can be a very effective way to maintain public order and punish crime inasmuch as it is focused on requiring the members of a community or society to comply with the law or face the consequences. The problem of law enforcement alone as a response to crime is that it is singular in its approach, responding to effects without consideration for causes. The term policing has come to mean an approach to crime fighting through community service and problem-solving. The idea of policing requires a holistic approach to community service, taking into account the problems that plague a community and working with the people within that community to solve them. Policing requires cooperation from residents, business owners, and leaders who participate in the process of reducing crime and improving quality of life. While this idea of community policing may sound revolutionary, it actually dates back to the earliest days of the modern police force. The concept is best articulated in Sir Robert Peel's nine principles of policing. While there may be a temptation to believe the two concepts are one and the same, or even two sides of the same coin, in truth the difference goes deeper. Whereas law enforcement implies compulsory compliance, policing suggests voluntary adherence. In that sense, law enforcement is but one component of policing, one of many tools in the toolbox available to police officers and law enforcement agencies. Whys Does the Difference Matter? In the current environment, particularly in the United States, there is a perception that a gulf has emerged between police departments and their communities. By focusing solely on law enforcement, as opposed to the holistic approach to community policing, officers risk widening the gulf. Taking a law enforcement-only approach to fighting crime can encourage an us-against-them mentality, both in officers and the members of the public they serve. When police look to work within their communities to solve problems and fight crime together, it encourages participation and ownership for all parties and helps foster trust between officers and the general public. What Does BOLO Mean in Law Enforcement Code? What Is Traditional Policing and What Does It Involve? Why Don't Police Aim for the Arms or Legs? Active vs. Passive Resistance – What's the Difference in Criminal Law?